Headline: Will Leave You Wanting More! Every so often I pick up a book that leaves me completely drained and Two Tears in a Bucket by Traci Bee is one of them. Every single emotion I have was felt while reading the story of Simone. She is a young girl left to take care of herself until she meets Kevin and everything about him is bad except his love for Simone. 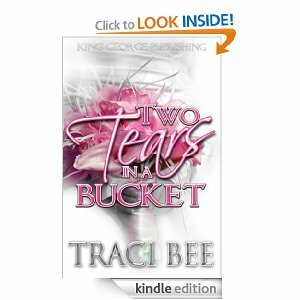 Two Tears in a Bucket tackles the age-old question does love truly conquer all? Traci Bee has written a story that is lightning speed, full of drama, and felt like a drug addiction I couldn’t shake because I found myself saying “only one more page” until I hit the last page. Luckily there is a sequel, Another Tear! 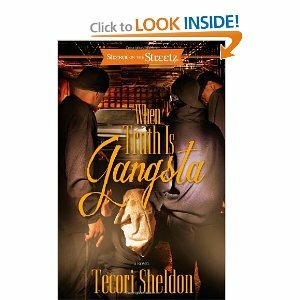 If you enjoy reading street lit then you should definitely pick up When Truth is Gangsta by Tecori Sheldon. It follows the story of Ruffneck as he navigates through being a teenager living the street life. Ruffneck has survived a childhood tragedy and it fuels every single move and decision that he makes. Family ties, friendships, and other loyalties are definitely tested as we watch Ruffneck search for the truth. When Truth is Gangsta is a pretty good read that will keep you entertained. I did not give the book 4 stars because there was a complete section (Lil Shorty) of the book that I tuned out as it simply did not make sense to me and the storyline of Him and 9 read like a joke to me. I am not sure how in depth the sequel will be but I will be sure to read it. Tecori Sheldon has proven himself under this pen name and his original name that he is an author worth reading! I do not know where to begin with this review. 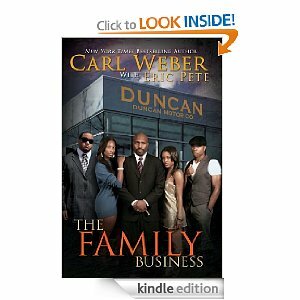 The Family Business is about the Duncan’s who seem to be an upstanding family with a legitimate business. 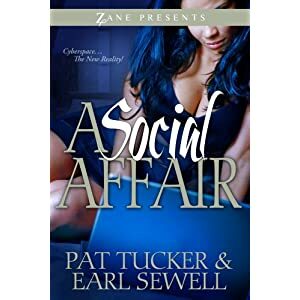 Carl Weber and Eric Pete decide to turn this into a gangsta book which is uncharted territory for Weber. This book has more questions than answers. There is no character development in The Family Business as we do not even know why the older brother is out of the picture and what was his role leading up to his disappearance. The first chapter, especially Trevor’s storyline, has absolutely nothing to do with the rest of the book. This is just the tip of the iceberg of the questions as there were not any details about the mother’s illness, and there was no sense of reality that Rio would have received such great hospitality while in California, and to top it off, there’s a socialite who is really an assassin. I am only giving this book 3 stars based on the reputation of Weber’s previous works but he really missed the mark with The Family Business.